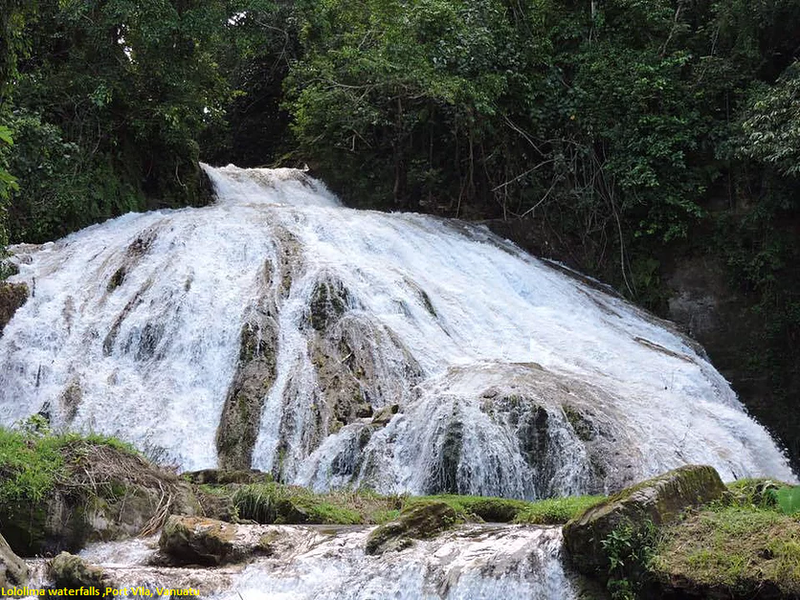 Lololima waterfalls are located on the grounds of the Catholic Mission of Montmartre, on top of Bellevue area.Away from the main tourist routes, their name does not even appear on most of the maps.Feel the refreshing coolness that fills the air as you discover this natural gem. All levels of fitness, ages and families can enjoy this tropical treasure. Laze in a natural pool, swim down the river or stand beneath the falling water for an invigorating natural massage, swing with our Tarzan rope, explore limestone cave with bats. To access Lololima from Port Vila you need to drive through Bellevue and then to follow Montmartre. Once you arrive in front of Montmartre church, just keep in straight. You will have to drive a 20 minutes of very very bad road.Keep it straight and stop your car / quad/ moto when you can not go further. At this stage you should continue walking. Walk 5 more minute on the little path you see, leading to the waterfalls.The best is to ask locals, they will happily lead you there.